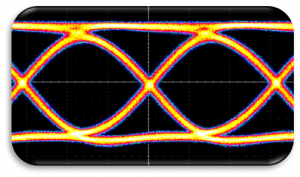 The SHF 12105 A is the latest addition to the SHF family of high performance, feature-rich Bit Pattern Generators (BPGs). 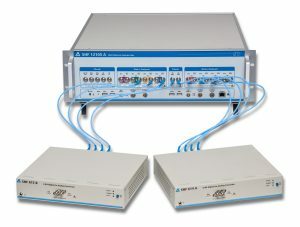 This 8-channel 64 Gbps bench-top BPG maintains all the unique features of the well known SHF 12104 A, plus additional improvements to enable ease of interface to our DACs for high baud rate arbitrary waveform generation, and to the multiplexer for high speed serial data generation in excess of 128 Gbps. 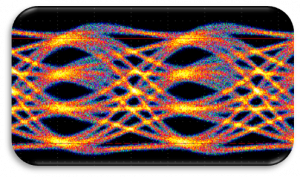 All channels are synchronized, and each channel can be independently controlled in phase, amplitude and pattern type. Each channel has a large user-defined pattern memory size plus standard ITU/CCITT PRBS patterns. Combining a BPG with one of SHF’s digital to analog converters (DACs) turns the system into a multi-channel PAM source. With the new SHF 12105 A one has full control of the patterns into the DAC (due to the huge memory and the channel synchronization). Therefore, our BPG-DAC combination can be seen as a full blown remote head non-interleaved 60 GBaud Arbitrary Waveform Generator (AWG). 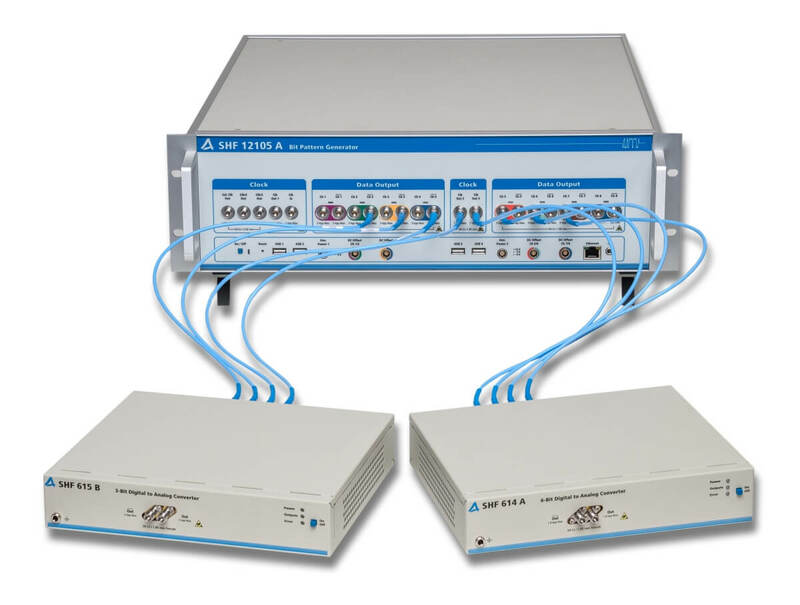 As SHF’s new synthesized clock generators SHF 78122 A (bench-top) and SHF 78212 A (plug-in) work up to 67 GHz, the clock distribution with the SHF 12105 A can operate in ‘full-clock’ mode (e.g. 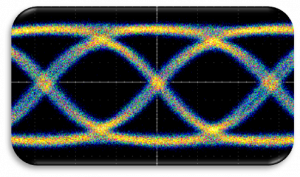 64 GHz clock for 64 Gbps data from the BPG). The clock required for the DAC can be taken from either the BPG’s standard clock output or from one of the additional two optional clock outputs (option addCLK). Thus no additional components like frequency doublers are required. Even the power for the remote heads can be drawn from the SHF 12105 A’s auxiliary power outputs. 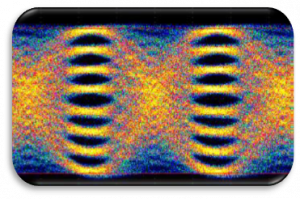 A SHF BPG and a SHF DAC are not just two discrete modules connected together. The BCC (BERT Control Center) software provides a variety of features which can be used in case a SHF DAC is connected to the SHF BPG. 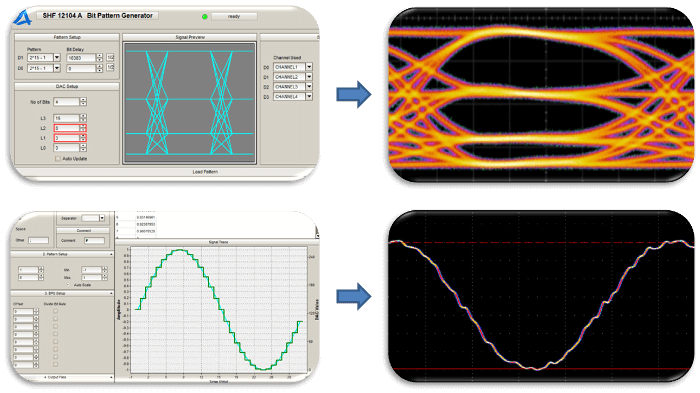 Further information and the full data sheet can be found in our Bit Error Rate Tester (BERT) or Arbitrary Waveform Generation (AWG) product sections.